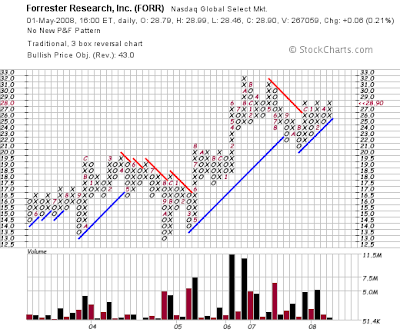 Forrester Research Inc. (FORR) featured in my newsletter [$] as a stock testing triangle support at the 200-day MA. A couple of days after it's initial feature the stock created a bullish hammer at triangle support. What followed was a steady rise to resistance, with the breakout completing earlier this week on the back of earnings. 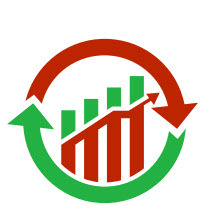 Yesterday followed with a successful backtest of $28.35 support. The point-n-figure chart fell a penny shy of a triple top breakout, with a current upside target of $43.